The Credit Risk Grading (CRG) is a collective definition based on the pre-specified scale and reflects the underlying credit-risk for a given exposure. A Credit Risk Grading deploys a number/ alphabet/ symbol as a primary summary indicator of risks associated with a credit exposure. Credit Risk Grading is the basic module for developing a Credit Risk Management system. Use of CRG The Credit Risk Grading matrix allows application of uniform standards to credits to ensure a common standardized approach to assess the quality of individual obligor, credit portfolio of a unit, line of business, the branch or the Bank as a whole. decisions would be related to pricing (credit-spread) and specific features of the credit facility. These would largely constitute obligor level analysis. Risk grading would also be relevant for surveillance and monitoring, internal MIS and assessing the aggregate risk profile of a Bank. It is also relevant for portfolio level analysis. The following step-wise activities outline the detail process for arriving at credit risk grading. Each of the above mentioned key risk areas require be evaluating and aggregating to arrive at an overall risk grading measure. Risk that counterparties will fail to meet obligation due to financial distress. This typically entails analysis of financials i.e. analysis of leverage, liquidity, profitability & interest coverage ratios. To conclude, this capitalizes on the risk of high leverage, poor liquidity, low profitability & insufficient cash flow. Risk that adverse industry situation or unfavorable business condition will impact borrowers’ capacity to meet obligation. The evaluation of this category of risk looks at parameters such as business outlook, size of business, industry growth, market competition & barriers to entry/exit. To conclude, this capitalizes on the risk of failure due to low market share & poor industry growth. Risk that counterparties may default as a result of poor managerial ability including experience of the management, its succession plan and team work. Risk that the bank might be exposed due to poor quality or strength of the security in case of default. This may entail strength of security & collateral, location of collateral and support. These risk areas cover evaluation of limits utilization, account performance, conditions/covenants compliance by the borrower and deposit relationship. According to the importance of risk profile, the following weight ages are proposed for corresponding principal risks. 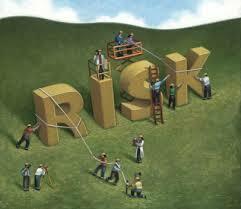 Management Risk Experience, Succession & Team Work. Security Risk Security Coverage, Collateral Coverage and Support. Relationship Risk Account Conduct, Utilization of Limit, Compliance of covenants/conditions & Personal Deposit. LOANS & ADVANCES CRITERIA OF EXPORT IMPORT BANK OF BANGLADESH LTD.
After the risk identification & weight age assignment process (as mentioned above), the next steps will be to input actual parameter in the score sheet to arrive at the scores corresponding to the actual parameters. The following is the proposed Credit Risk Grade matrix based on the total score obtained by an obligor. A thorough loan and risk assessment is conducted prior to the granting of loans and at least annually thereafter for all facilities. The results of this assessment are presented in a loan proposal to Head of Loan Division for approval. The guiding principles for a bank official while collecting and recording information are to remain uninfluenced by extraneous considerations and secondly he maintains contact with all those who can be of assistance. The following steps for completion of Loan Risk assessment for each facility are followed by the bank in conjunction with the guidelines/instructions given in Head Office circulars issued from time to time. Borrower Analysis: The majority shareholders, management team and group of affiliate companies are assessed. Any issues regarding lack of management depth, complicated ownership structure or inter group transactions are addressed, and risk mitigated. The bank collects credit information from CIB regarding the borrower’s past credit status and exchanges of credit information from other banks or bank opinions. CIB report reflects/includes the name of all the lenders with facility, limit and outstanding. Industry Analysis: The key risk factors of the borrower’s industry are assessed. Any issues regarding the borrower’s position in the industry, overall industry concerns or competitive forces are addressed and strengths and weaknesses of the borrower relative to its competitors are identified. Supplier/Buyer Analysis: Any customer or supplier concentration is assessed. Any issues regarding the borrower’s position in the industry, overall industry concern or competitive forces are addressed and the strengths and weaknesses of the borrower relative to its competition are identified. Historical Financial Analysis: An analysis of a minimum of 3 years historical financial statements of the borrower are presented. Where reliance is placed on a corporate guarantor, guarantor’s financial statements are analyzed. The analysis addresses the quality and sustainability of earnings, cash flow and the strength of the Borrower’s balance sheet. Specifically, cash flow, leverage and profitability are analyzed. Project Financial Performance: Where term facilities (tenor greater than 1 year) are being proposed, a projection of the borrower’s future financial performance are provided, indicating an analysis of the sufficiency of cash flow to service debt repayments. Loans are not granted if projected cash flow is insufficient to repay debts. Accounts Conduct: For existing borrowers, the historic performance in meeting repayment obligations (Trade payment, cheques, profit and principal payments, etc.) is assessed. Mitigating Factors: Mitigating factors for risk identified in the loan assessment are identified. Possible risks include margin sustainability and/or volatility, high debt loan (leverage/gearing), overstocking or debtor issues; rapid growth, acquisition or expansion; new business line/product expansion, management changes or succession issues; customer or supplier concentration; and lack of transparency of industry issues. Loan structure: The amounts and tenors of financing of loan are justified based on the projected repayment ability and loan purpose. Excessive tenor or amount relative to business needs increase the risk of fund diversion and any adversely impact the borrower’s repayment ability. Security: A current valuation of collateral is obtained and the quality and priority of security being proposed are assessed. Adequacy and the extent of the insurance coverage are also assessed. Overall background of the promoters. Past performance & market reputation. The bank makes sure that the product, which the borrower has been manufacturing/dealing with has a good demand in the market. Market appraisal is done on the basis of following factors. Production capacity and working capital requirement of the unit and actual exports made by the company during the last 3 years. The factory premises of the Garments unit applying for credit facilities. Economic appraisal, also referred to as social cost benefit analysis, is concerned with judging a project from the larger social point of view. Security is a cover against loans and advances. It ensures recovery of loans and advances. Securities play an extremely important role in a loan granting decision. Primary security means the security offered by the borrower himself as cover for the loan. It refers to the asset, which has been bought with the help of the bank. Such as when machinery or some goods have been bought with the help of the bank the machinery and goods constitute the primary security. Primary Security may be either personal security or impersonal security or both. Personal security is given by a borrower by way of duty-executed promissory note, acceptance/endorsement on a bill of exchange and personal covenants in mortgage deeds or loan agreements. Impersonal security is given when a charge is created by way of pledge/hypothecation/mortgage over the borrower’s tangible assets, such as goods and commodity, fixed assets, bills receivables, book debts. Murabaha Post Import (MPI) MPI facility is allowed, as post-import finance against imported goods under the Bank’s L/Cs. MPI facility does not exceed invoice value net of L/C margin unless the Bank agrees to finance duties/VAT. However, where market price of the goods is lower than landed cost banks makes necessary arrangement with the customer to obtain additional deposit. Head Office approves the price at which MPI goods to be released to customer or it may be at market price or landed cost whichever is higher. The landed cost or market prices whichever is lower in case of imported goods. II. The ex-mill/factory price of market price whichever is lower is case of domestically manufactured commodities as evidenced by invoice. III. The wholesale price/competitive market price duly verified by the Branch and approved by Head Office. All other additional security other than the primary securities such as land or building etc. are considered as collateral securities which may be offered or deposited by the borrower or, by any other third party. The property is physically inspected and verified jointly by 2 (two) bank’s Officers. A valuation certificate mentioning market value and forced sale value is prepared in a designated form supplied to the officials and is jointly signed by the inspecting officers of the Bank. The forced sale value of the collateral security is to be 1.5 times higher than the facility/facilities allowed. “A Site Plan” and “Map” along with 3R size district photographs of the mortgaged property covering full exposure from 3 angles mentioning detailed particulars on the back of the photographs. The collateral security must be in the physical possession of the mortgagor and the mortgagor/owner has valid title over it. A letter of satisfaction from the Bank’s Lawyer is obtained that the mortgage formality has been properly created. The bank does not disburse any loan facility until the required documentation is properly completed. After completion of credit investigation, the bank official begins to prepare loan proposal. The loan proposal defines clearly amount and type of loans, the purpose of the facility, summary of the results of risk assessment, the sources of repayment, tenor, covenants, the agreed repayment schedule, interest and value of security. The credit officer identifies any particular documents required for each facility. The officer is responsible for the completion of the documentation. The officer enlists outside legal assistance where necessary e.g. when drawing up special consortium / term loan agreements etc. Where security is to be accepted as collateral for the facility all documentation relating to the security are to be in the approved form. All approval procedures and required documentation are completed and all securities are in place, prior to the disbursement of the facilities. There may be requirement of specific banking or legal documents to secure a investment according to sanction terms and conditions. All required documents are required before any loan is disbursed. Establishes overall policies and procedures for approving & reviewing loans. Delegate’s authority to approve and review Loans. Approves loan for which authority is not delegated. Approves all extension of loan that is contrary to Bank’s written loan policies. Approves loan facilities as delegated by the Board of Directors. Supervises the implementation of the directives of the Board of Directors. Reviews of each extension of loan approval by the Head Office Loan Committee/Managing Director. Reviewing, analyzing and recommending for extension of investment in accordance with authority established and delegated by the Board of Directors. Ensuring that all elements of the investment proposal i.e. forms, analysis, statement and other papers have been obtained and in order. Confirming that the transaction is consistent with existing loan policy and Bangladesh Bank guidelines. To organize and manage the lending activities smoothly, the bank divided the credit department into different functions. This was also been done to improve the knowledge levels and expertise in Investment (Loan) Department, to impose controls over the disbursement of authorized loan facilities and to obtain an objective and independent judgment of loan proposals. The overall operation of credit of the bank is organized under following functions as shown the figure below. Oversight of the bank’s investment policies, procedures and controls. Oversight of the bank’s asset quality. Direct management all substandard, doubtful & bad loss accounts and ensuring appropriate and timely investment loss provisions. Approval or rejection loan applications recommended by Relationship Manager. Advice/assistance regarding all loan matters to Relationship Manager. Ensures that all security documentation comply with the terms of approval and is enforceable. Monitors insurance coverage to ensure appropriate coverage is in place over assets pledged as collateral. Maintains control over all security documentation. Monitors borrower’s compliance with covenant and agreed terms and conditions. Acts as the primary bank contact with borrowers. Conducts investigation of the borrower fully. Complies with the applicable instruction, manuals, circulars and other rules of the Bank as well as those of Bangladesh Bank. Ensures that investment proposals submitted to Head Office are complete and consistent with established policies & procedure. Reviews and analyzes all issues related to investment risk proposals covering any obligator. Submits investment proposal for new proposals and annual reviews timely and accurate, taking into account the investment assessment requirements. Highlights any deterioration in borrower’s financial standing and amend the borrower’s Risk Grade in a timely manner. Seeks assistance/advice from CRM regarding the structuring of facilities, potential deterioration in accounts or for any investment related issues. The investment Administration function is critical in ensuring that proper documentation and approvals are in place prior to the disbursement loan facilities. § Disbursement under loan facilities is only made when all security documentations are in place, all formalities regarding loan approval have been completed, all loan Approval terms have been met and sanction letter in duplicate copies detailing the terms and conditions under which the sanction has been made and the same has been obtained from the customer duly signed by him. Investment disbursements and the preparation and storage of security documents are centralized in the regional loan centers. Appropriate insurance coverage is maintained (and renewed on a timely basis) on assets pledged as collateral. Security documentation is held under strict control, preferably in locked fireproof storage. Investment terms and conditions, financial statements on a regular basis, and any covenant breaches or exceptions for timely follow up. Timely corrective action to address findings of any internal, external or regular inspection/audit. Computer systems and where automated systems are not available manual processes are used to produce accurate exception reports. Exceptions are followed up on and corrective action taken in a timely manner before the account deteriorated further.